The incident occurred on Friday morning, when the 737, P2-PXE, was operating flight PX73 from Pohnpei, also part of the Federated States of Micronesia, to Chuuk. The flight was then scheduled to continue on to Port Moresby in Papua New Guinea. However, the 737 ended in the lagoon alongside Chuuk Airport when attempting to land. Locals rushed to the aircraft in small boats to rescue passengers and crew, images published on social media showed. “Air Niugini advises that its Boeing 737-800 series aircraft, P2-PXE landed short of the runway whilst landing at Chuuk Island of the Federated States of Micronesia this morning,” Air Niugini said in a statement on its Facebook page. 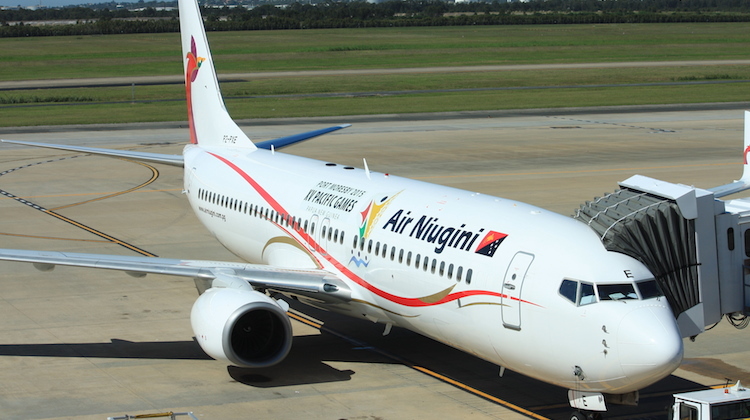 “Air Niugini can confirm that all on board were able to safely evacuate the aircraft. The airline is making all efforts to ensure the safety and immediate needs of our passengers and crew. Reports indicated there were 36 passengers and 11 crew on the flight. The Australian Broadcasting Corporation said nine people were taken to hospital for treatment. Chuuk Airport has a single asphalt runway 04/22 that measures 1,831m in length. The scenes were reminiscent of the US Airways flight 1549 in 2009, which landed on New York’s Hudson River after suffering a double engine failure shortly after takeoff due to birdstrike. There was also a 2013 Lion Air flight that overshot the runway and ended up in water when attempting to land at Denpasar, with all on board rescued by small boats. So very relieved to hear everyone survived this ditching. The article reports there were 11 crew onboard the B737-800! They cannot ALL have been operating crew, surely?! As I’m not aware of the frequency of the service, perhaps PX did have two crew complements onboard, one to operate the outbound flight/s and the other to work the two sectors back to POM? Anyone know otherwise why there were so many crew on this plane? Just curious. Normal compliment (in Aus anyway) 2 + 5. Possibly someone in the jump and 3 others in the cabin. More than likely there may have been people on staff travel etc that were included.